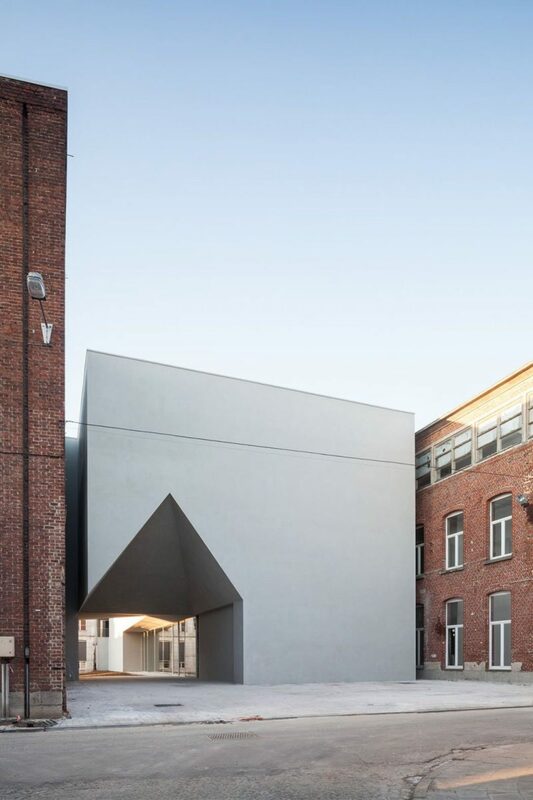 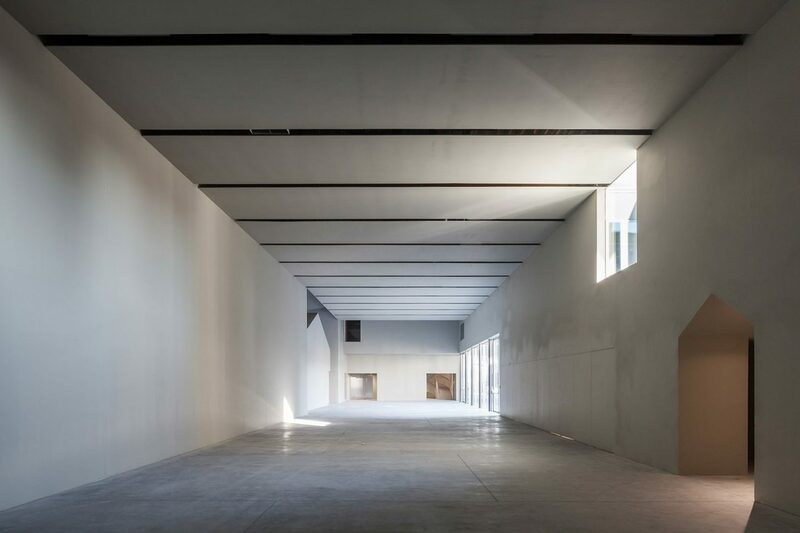 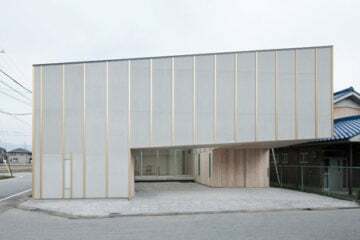 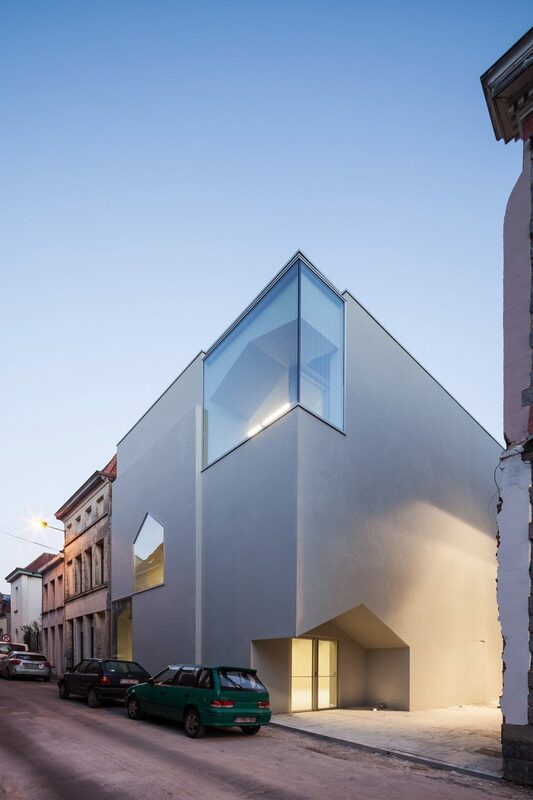 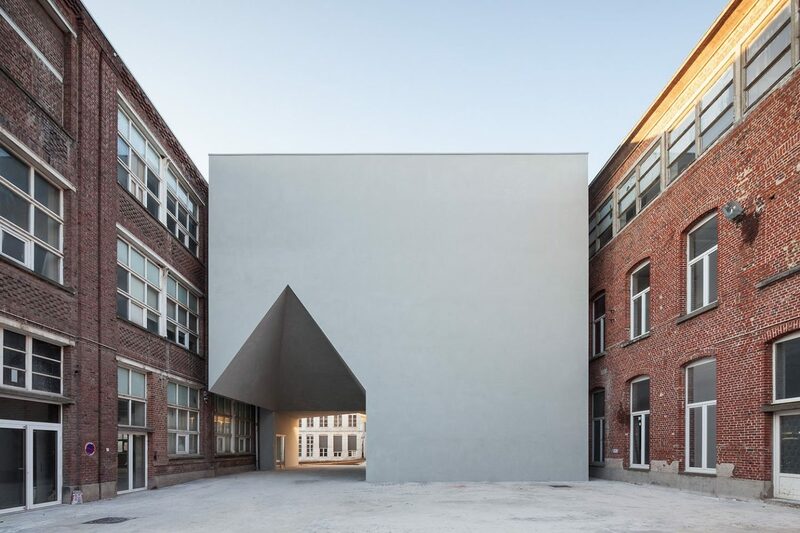 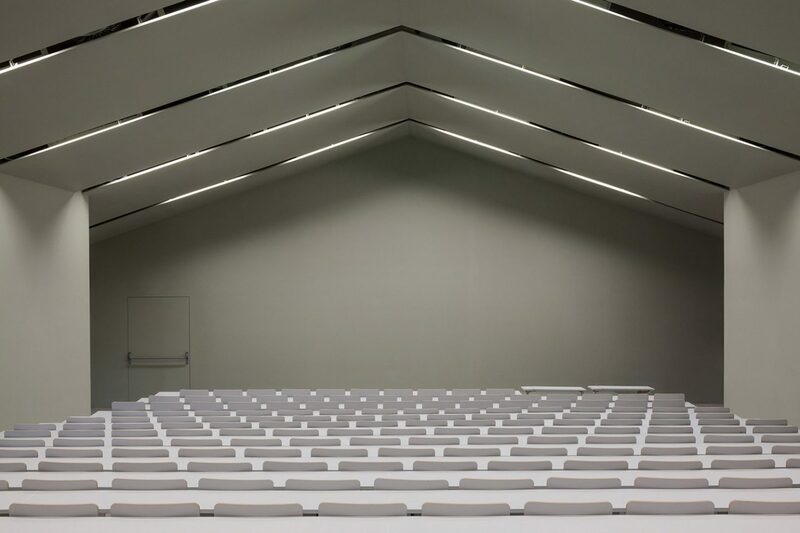 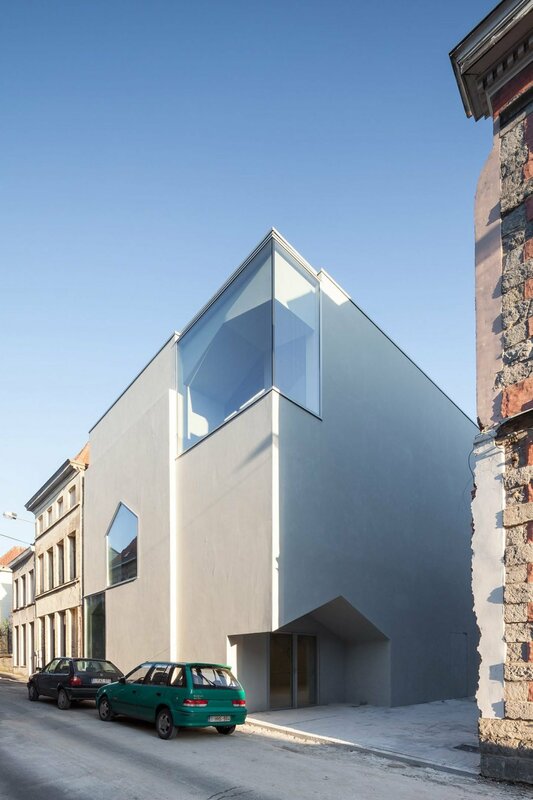 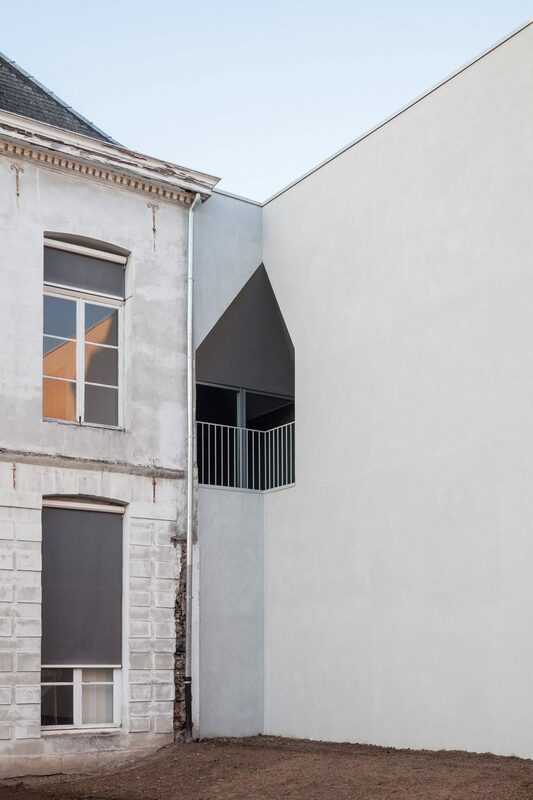 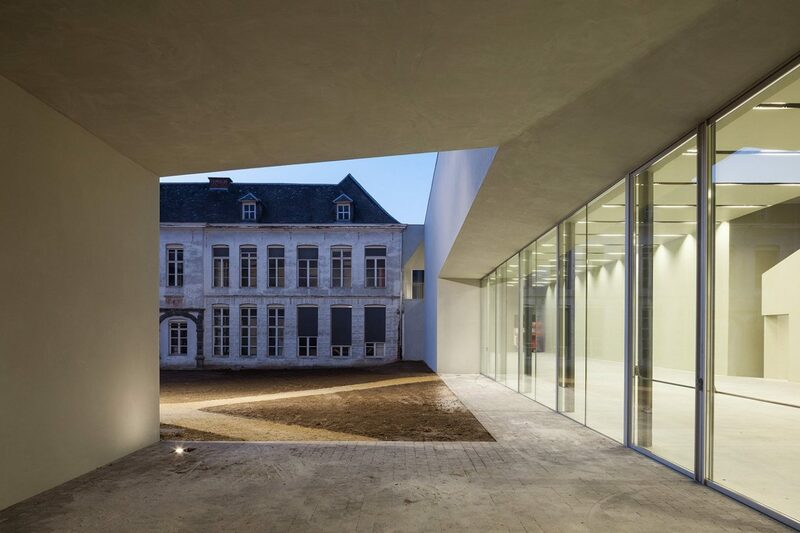 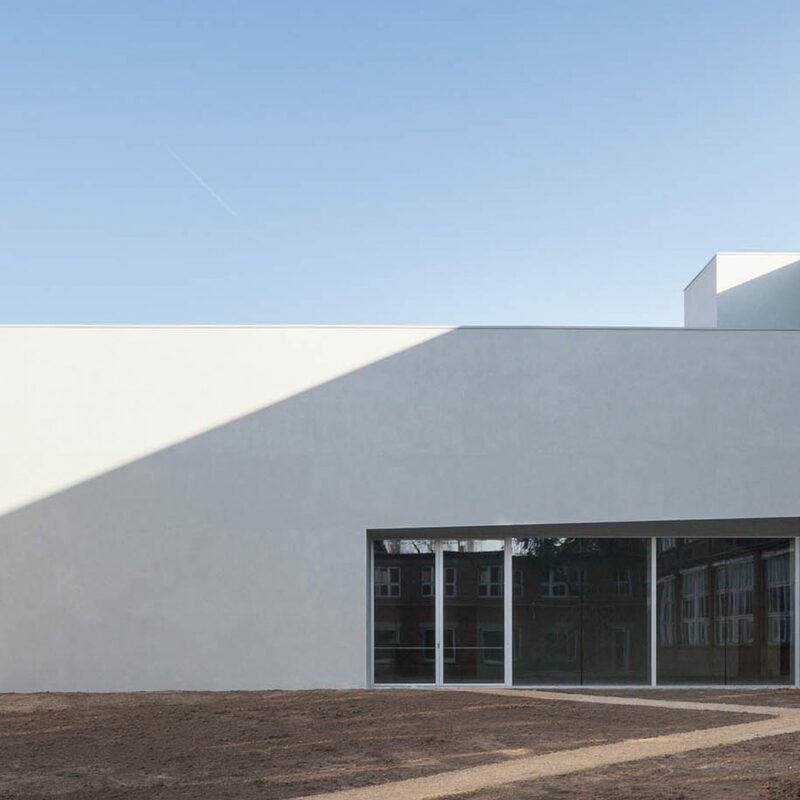 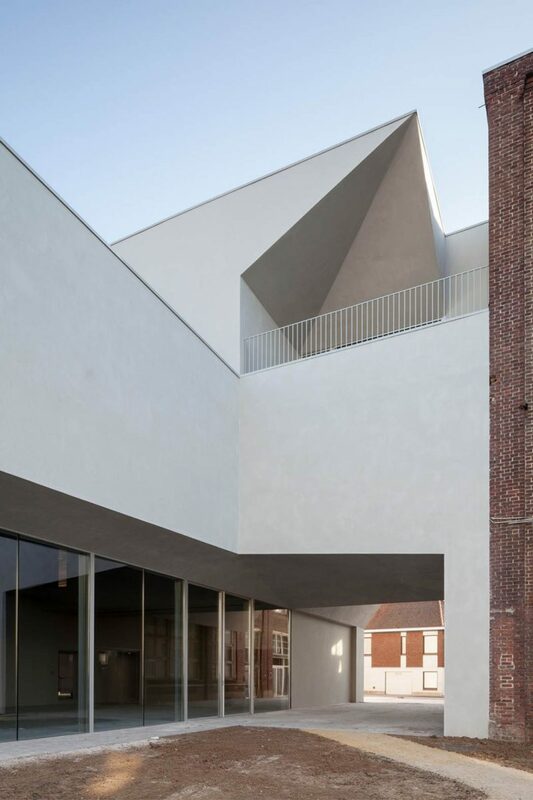 For the construction of a new addition to the LOCI architecture faculty’s site, the Catholic University of Louvain called on the help of Portuguese architectural firm Aires Mateus. 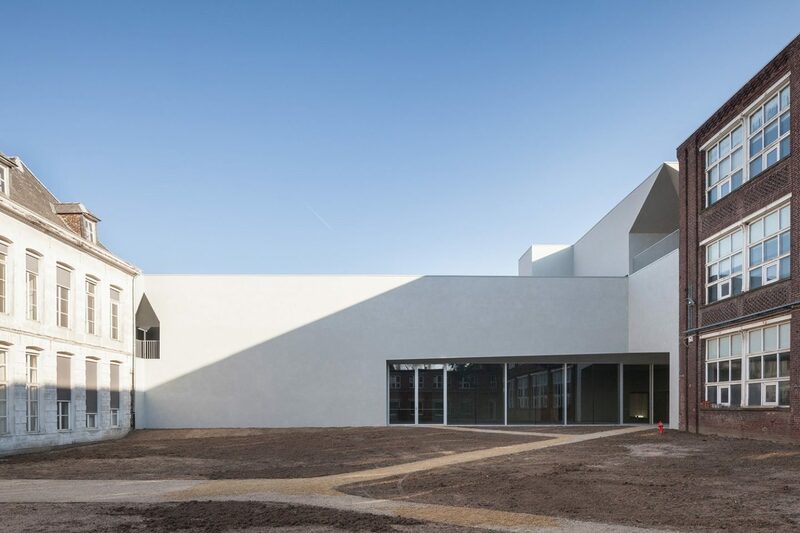 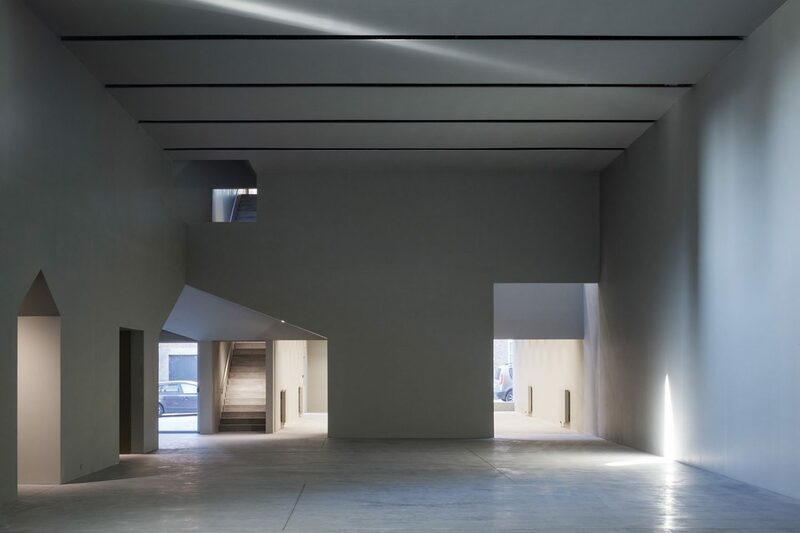 Renowned for their contemporary take on abstract modernist architecture, Aires Mateus have designed the new faculty building with a simple monochromatic identity. 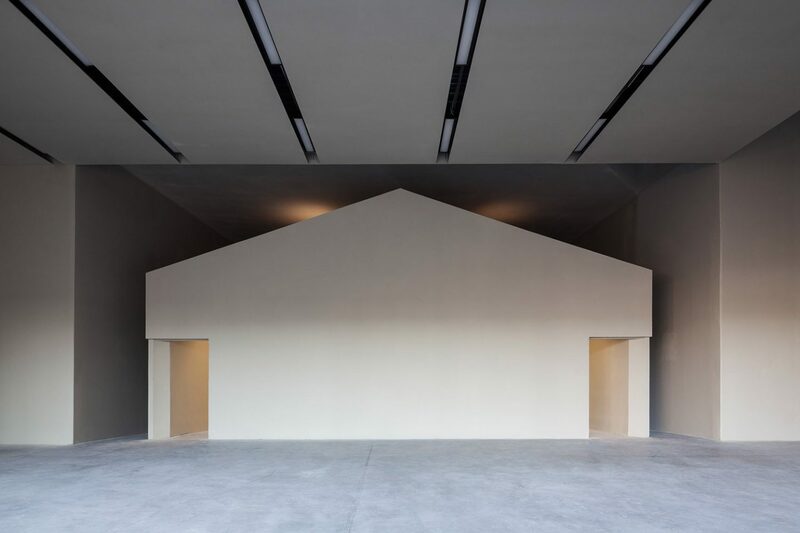 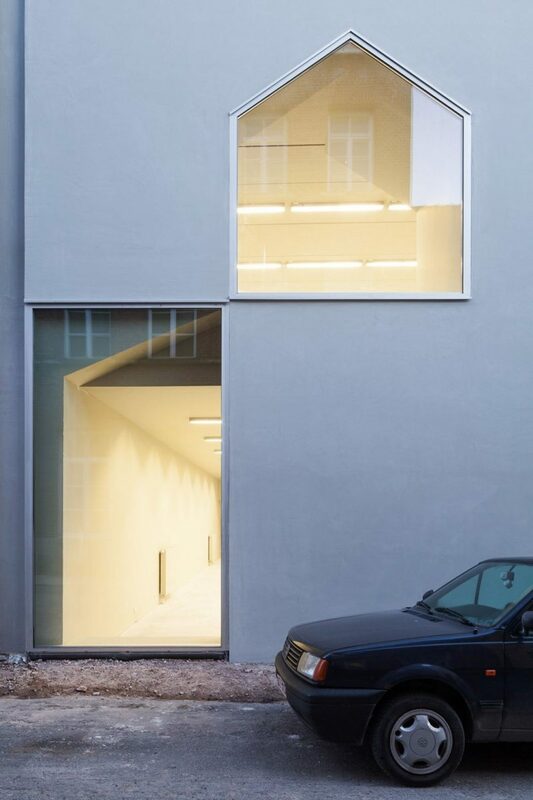 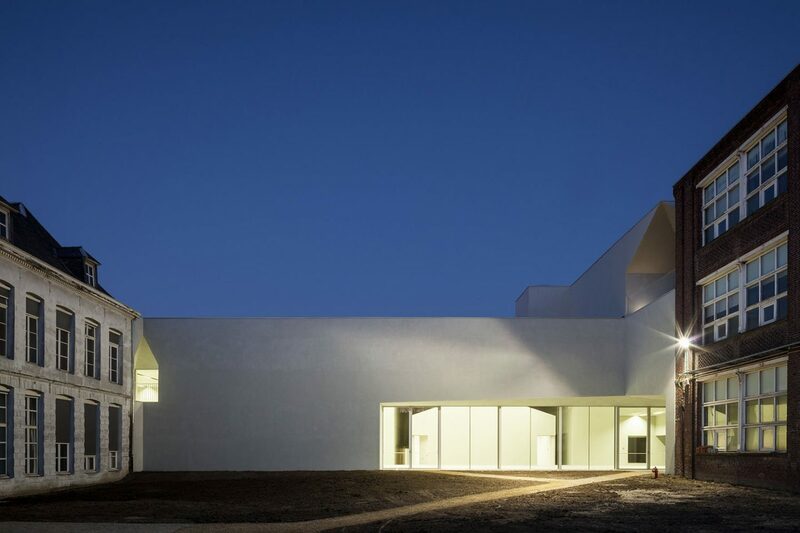 As one of the studio’s first projects realised in the north of Europe, the LOCI building introduces characteristics typical of Aires Mateus’ architectural language. 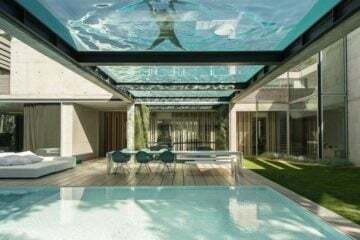 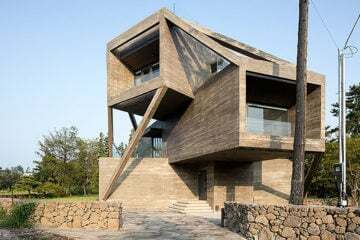 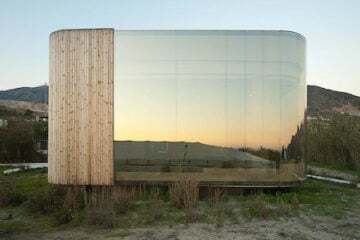 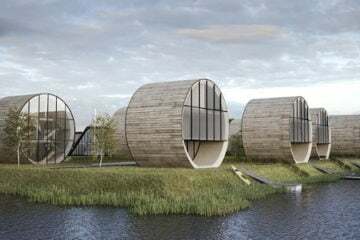 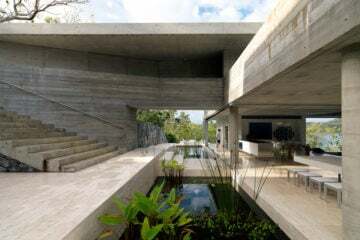 The construction adopts a main rectangular volume with excavated geometric forms that create interesting spatial voids, providing details that reference reduced architectural silhouettes. 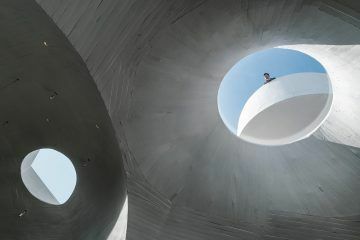 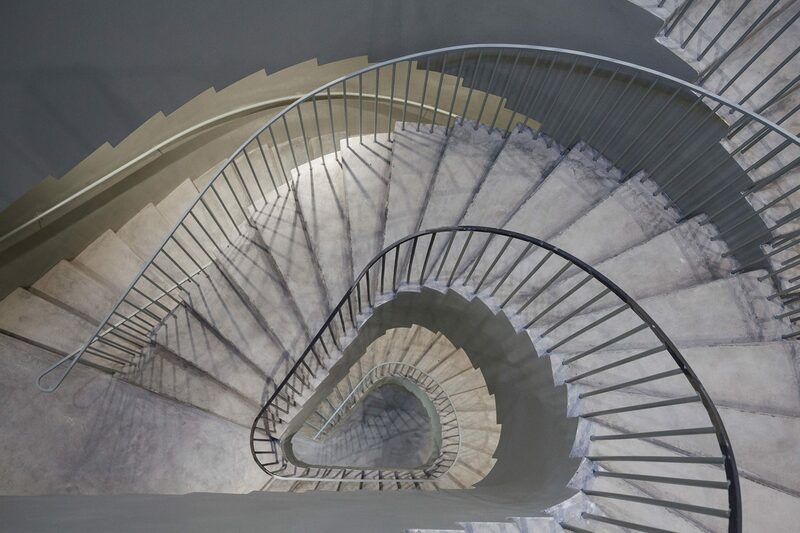 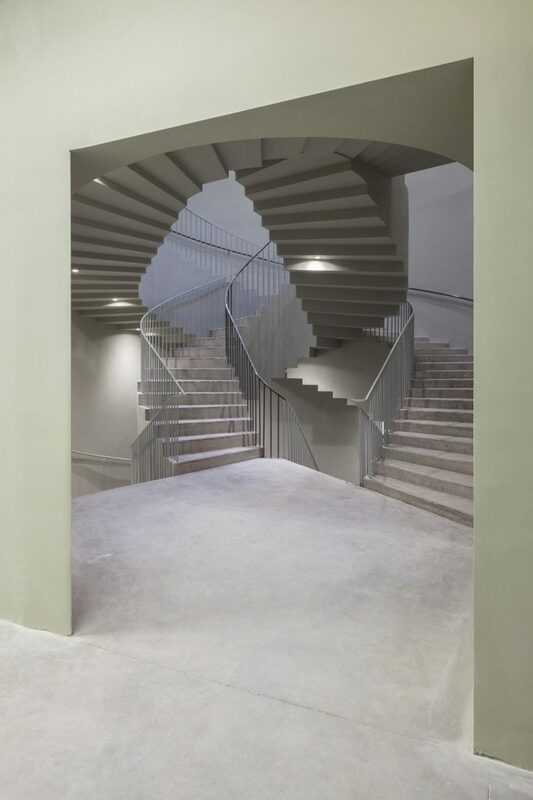 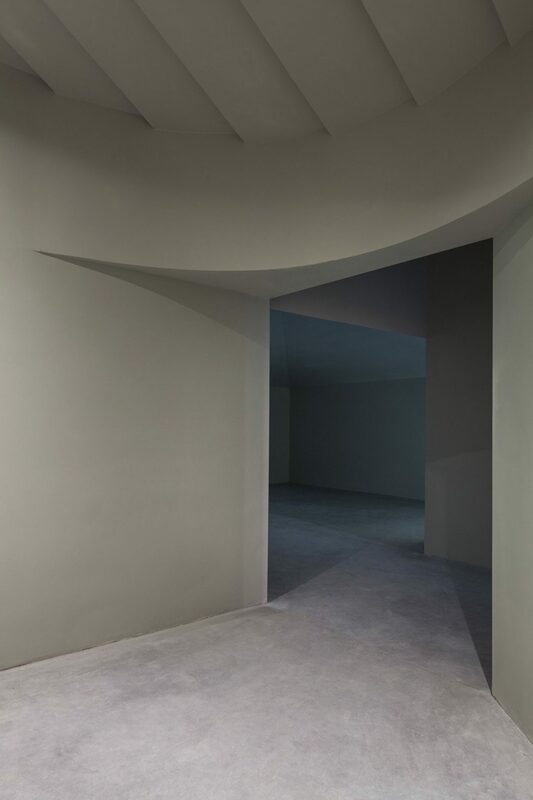 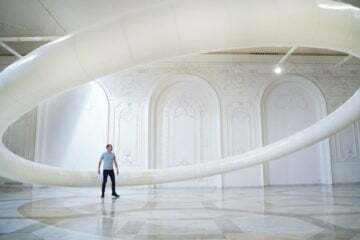 The LOCI faculty is now presented with a central meeting space for students and an intertwined double-spiral staircase system, establishing a new kind of interaction on the move. 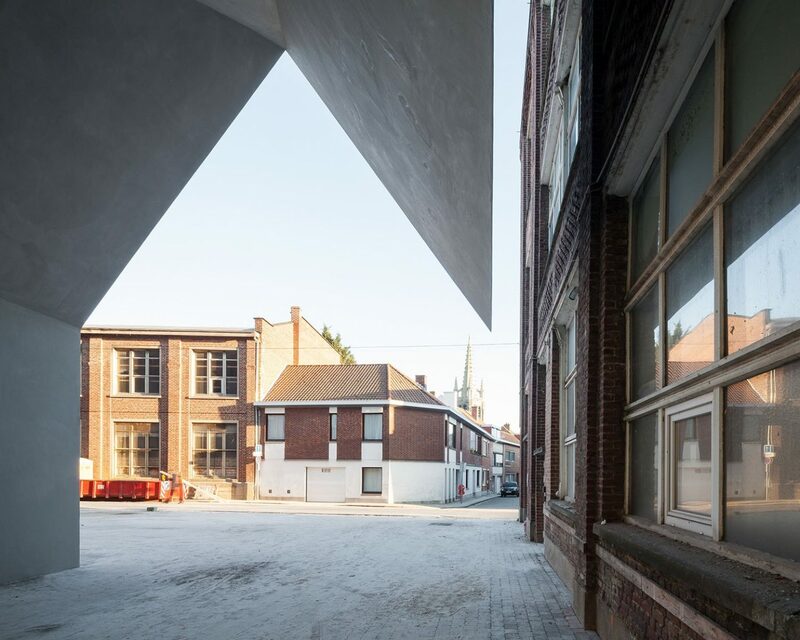 A spacious hallway connects the lecture and atelier rooms of the faculty’s older industrial building, splashed with natural light through windows inserted at various levels, creating an environment that inspires and celebrates architectural study.